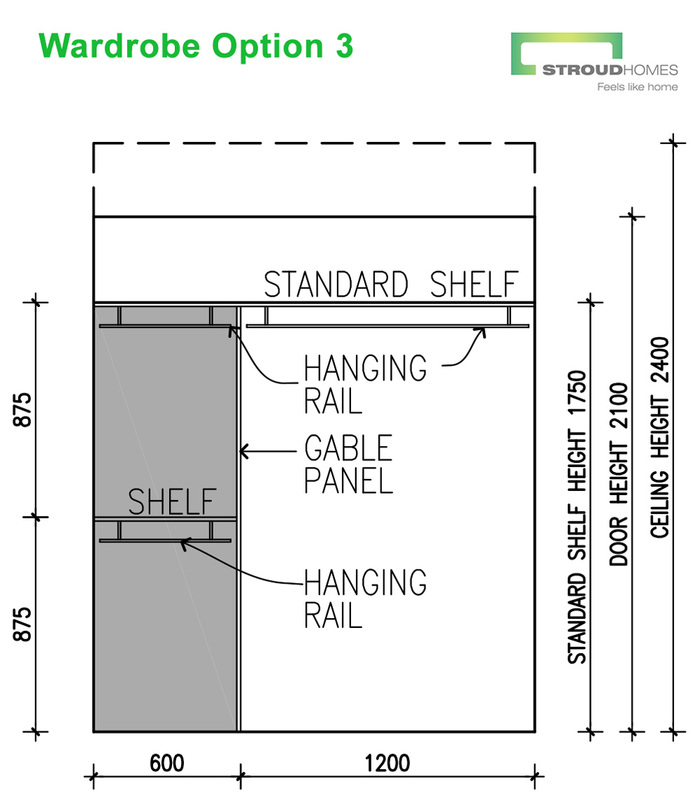 We know our customers often have specific requirements when it comes to their wardrobe design and layout. 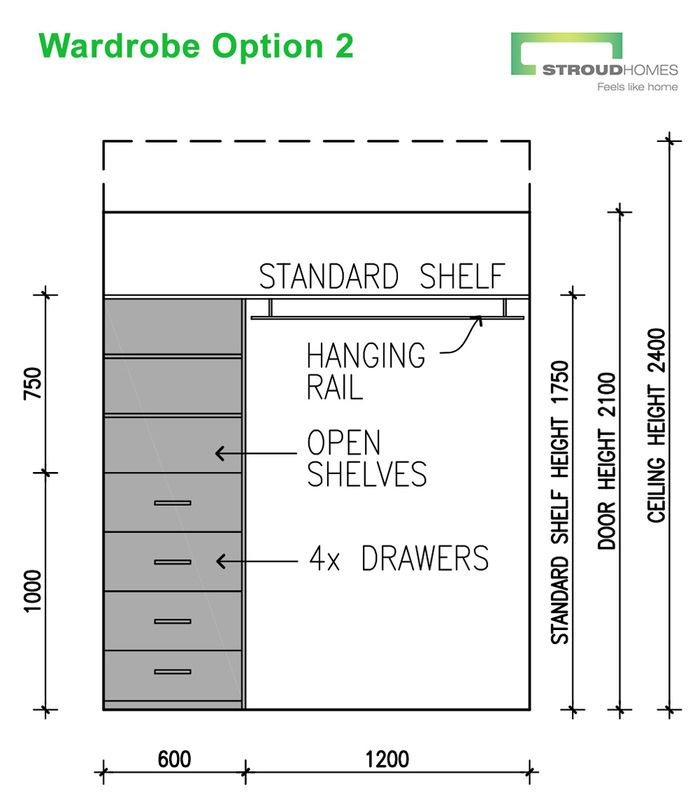 So Stroud Homes offers the following wardrobe options designed to suit most people’s storage needs. In these drawings the fully or partially shaded areas are additions over and above the standard plan. 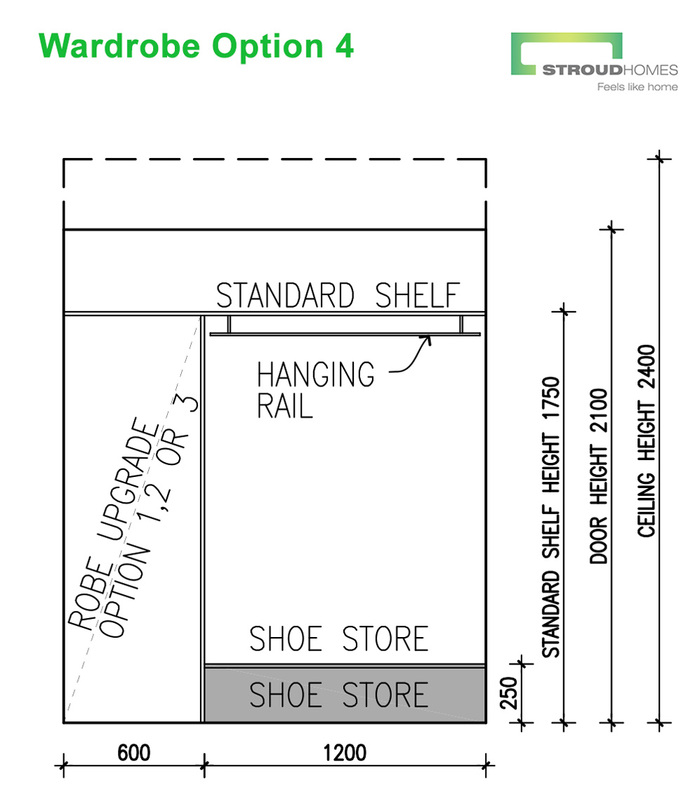 Please note that the sizes and configurations are subject to approval by Stroud Homes’ design and construction departments. 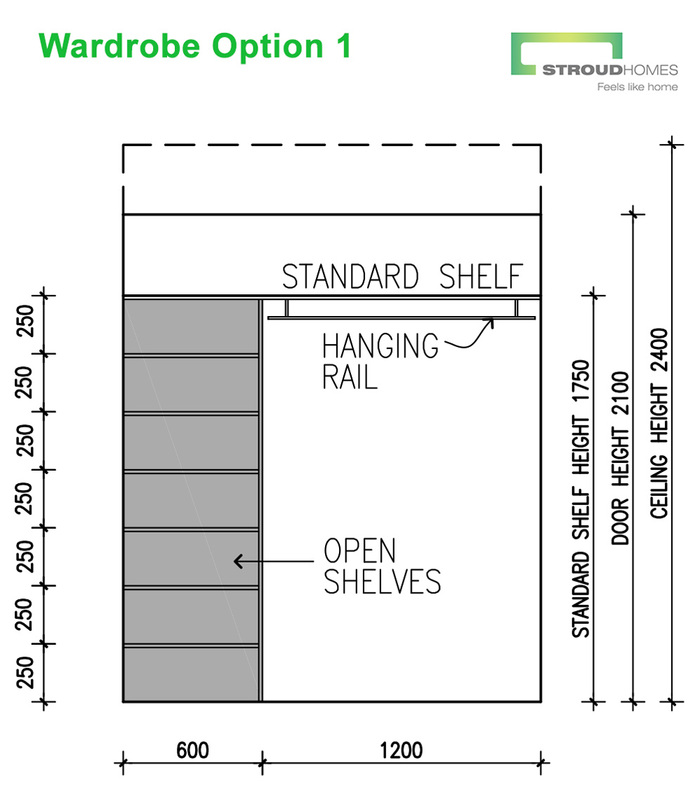 Some wardrobe options may not be available on all Stroud Homes’ designs.